Messuage or tenement and parcel of land of 110a, divided into 11 closes, with 2 barns thereon, in Merton, occupied by James Carpenter, yeoman, abutting east and south on lands occupied by Thomas Budd, east on land occupied by James Cutting, north on Fifteen Acres, occupied by [-] Harris, west on Bottom Close, occupied by William Bowman. the lease of Motts Furze Farm situated at Malden, granted from John Willis Esq. to his wife Anne Carpenter for life, and then to Robert Carpenter son of his nephew James Carpenter, subject to legacies to his sister Rebecca, daughter of the said James, and to the deceased’s nephew Robert Carpenter son of his brother John Carpenter. By a codicil he also bequeathed to his nephew James Carpenter the lease of a farm called Little West Barns in the parish of Merton in Surrey. John Rocque’s 1768 Map of Surrey names the farm ‘Blue House’. From 1780 to 1795 the Merton Land Tax records show that Carpenter continued as tenant of William Hayley Esq. In 1796 the Land Tax shows John Anthony Rucker, textile printer at Phipps Bridge, as owner of the farm, still occupied by James Carpenter. From 1805 until 1814 the Land Tax shows Daniel Henry Rucker as owner of the farm, still occupied by James Carpenter. c.1812, the last property in the area belonging to the Carpenter family, Judas Field in Malden, was sold to the owner of Blue House Farm. From 1823 to 1829 the tenant was Joseph Machell, who was already at neighbouring Motts Furze Farm by 1794. 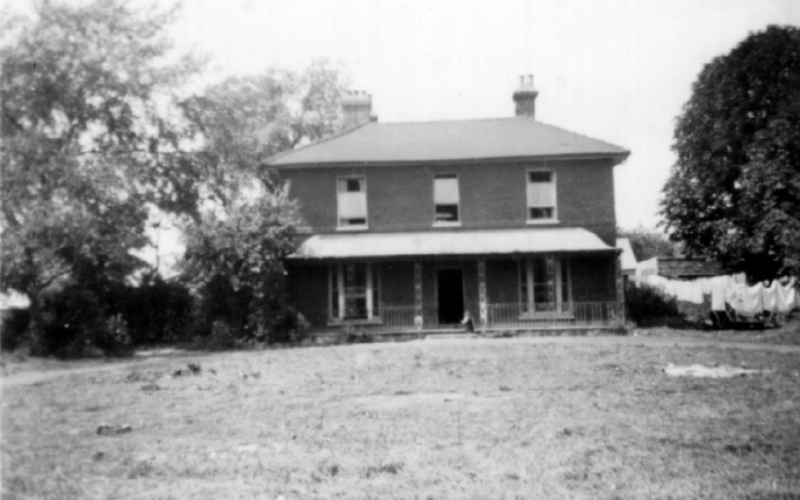 1844	Blue House Farm, owned by Charles Blake, was on land free of tithe, and so was not included in the Tithe Apportionment. Blake rerouted West Barnes Lane in the 1880s. The old road was to the north of the present West Barnes Lane and Blakes Lane, and had marked the boundary between Blaldenys and the Westfields, later the boundary between Blagdon (Visit our pages on Blagdon Farm ) and Blue House Farms. Along the new line of West Barnes Lane Charles Blake built Dudley Lodge (demolished in 1924) and Ivy House (demolished in 1970 to make way for Dodge City DIY centre). 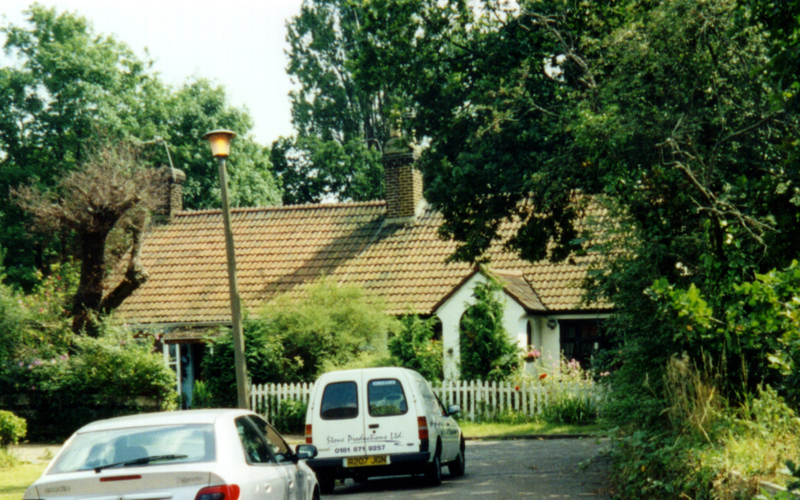 He also built West Barnes Terrace, by the railway crossing opposite West Barnes Farm, around 1884, and Blue House Cottages by the bridge over the Beverley Brook, presumably for his farm workers. Two survive, the other two being demolished in 1963, having been condemned as unfit for occupation. Blue House Farm was used for breeding polo ponies, before being acquired by Sydney Parkes in 1925 for Modern Homes and Estates. Parkes paid for Motspur Park Station and developed the estate around it between 1925 and 1927, though it was completed by Wates after 1936. Phyllis Avenue and Arthur Road were named after Parkes’s children. The old oak trees lining Arthur Road are a remnant of the old boundary hedges between the enclosed fields. The southern boundary of the estate is occupied by sports grounds.